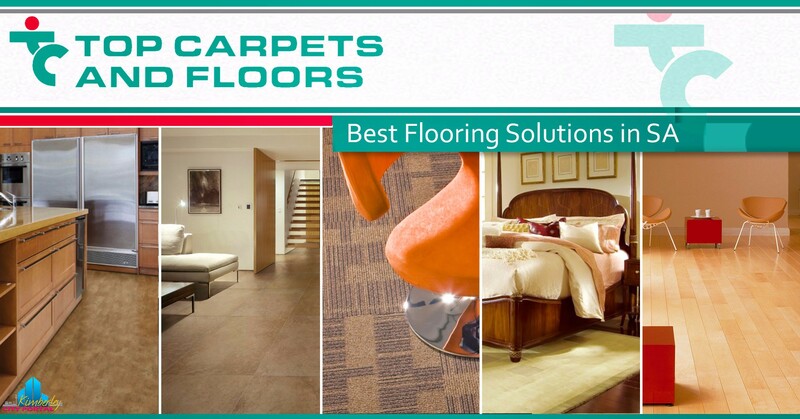 Top Carpets and Floors is South Africa’s largest flooring retailer of Carpets, Vinyl Flooring, Laminate Flooring, Wall Expressions, Porcelain, Natural Floorings, Artificial Grass, with over 120 members located around the country. The network covers all major cities, as well as a number of smaller towns. This affordable alternative brings beauty and colour to your home and garden while provides all the comfort and aesthetic appeal of real grass, but is extremely durable, requires low maintenance and can even improve your carbon footprint. Carpets should be chosen according to the best type, style and texture for an installation. Expensive, luxurious carpet is probably not the best performer in high traffic areas. Our expert staff will help you pick the right carpet for every area. Top Carpets stock a wide range of patterns and styles from all the major manufacturers, including Belgotex, Constantia, Crossley of South Africa, Nouwens and Van Dyck. These innovative “green” carpets offer all the advantages of regular carpets while making our planet a better place. Eco-friendly underlays are also available. Laminate floorcovering is usually more realistic than vinyl when it comes to replicating natural materials. Padding can be placed beneath laminate flooring for extra comfort. • Can often be laid directly over existing flooring, which saves time and money. • Sustained look and feel. Currently, only imported products are available on the South African market. These tiles are extremely dense with a low degree of water absorption. They are hard wearing, and thus more expensive than Monocuttura Ceramic Tiles. Often loosely referred to as Terra Cotta (meaning Earth Fired), these can be glazed but are generally produced as a rustic, slip-resistant floor covering. These are mined and cut to size. Natural stones, slates and sandstones come out of the ground and are 100% natural, so no two tiles or colours will be identical. Luxury Vinyl Tiles are designed to give you the aesthetic appeal of real wood whilst giving you all the benefits, these include easy installation, easy cleaning and maintenance all without any moisture related complications. It is available in various styles and textures. Vinyl flooring is available as tiles or sheets and offers a wide range of colours, patterns and styles. It can be manufactured to replicate surfaces like granite, limestone, marble and wood to provide the desired look and feel without the demanding maintenance and high cost that such floorcoverings require. Van Dyck continues to bring South African consumers the latest trends in interior decor and design and is proud to announce a brand new wall covering range made from 100% recycled polyester. Natural Flooring is a specialist product, and is not handled by every TCF member. In addition, availability via importers can be a cause of frustration. Coir is the rich, coarse fibre extracted from the husk of the coconut palm. It is water-resistant with natural shock-absorbing qualities. Many people love sisal flooring because it tends to be very durable, takes colour well, and requires little care except for regular vacuuming. Seagrass is the least expensive and most versatile of natural floorcoverings. It comes from the coastal regions of China and India and is grown in paddy fields. Contact Top Carpets & Floors for more information. Applications for Office, Medical, Retail & Hospitality industries. 120+ strong group in business for over 22 years, resulting in unbeatable buying power, which provides lowest prices on all carpets and flooring. Professional advice on product selection, design, colour and installation. Freedom to choose between carpets, laminates, vinyls or rugs, all under one roof. For convenience and safety and working by appointment, we can bring the broadest selection of products to you and you need go no further than your own front door. Free advice on design and colour. Free warranties on all flooring. Provides reassurance on selected carpets, laminates and LVT’s. We support Reach for Recovery – a major breast cancer initiative with a contribution on all Van Dyck, Constantia, Kronopol and Aluvert sales. We are trusted to handle the flooring needs of many leading Corporate, Industrial, Insurance and State Organisations countrywide. We hold a level 1 AAA+ BEE accreditation from Empowerdex and are also accredited with CIBD. We protect your loved ones with our exclusive Healthguard service. For your total peace of mind we back up Top Carpets and Floors’ carpet installations with a R1 million professional guarantee.